What's called Medical Tourism ? The act of going to different countries to obtain either urgent or elective medical, dental, and surgical care is known as Medical Tourism. In fact it is coloration of medical care and tourism industry. Medical Tourism has been common form of vacationing and its popularity is spreading worldwide as fast as wildfire. It is fast becoming a worldwide, multibillion-dollar industry. India has been considered as one of the most important hubs for Medical Tourism -and now it is moving into a new area of "medical outsourcing," where subcontractors provide services to the overburdened medical care systems in western countries. 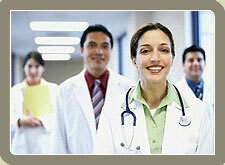 Many people from developed countries come to India for Indian medical treatment. Rejuvenation promised by Yoga and Ayurveda in India is famous in the world. India's top-rated education system is not only churning out computer programmers and engineers, but an estimated 20,000 to 30,000 doctors and nurses each year. The largest of the estimated half-dozen medical corporations in India serving medical tourists is Apollo Hospital Enterprises, which treated an estimated 60,000 patients between 2001 and spring 2004. 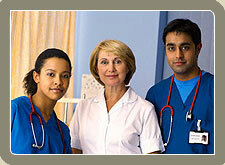 It is Apollo that is aggressively moving into medical outsourcing. Apollo already provides overnight computer services for U.S. insurance companies and hospitals as well as working with big pharmaceutical corporations with drug trials. Dr. Prathap C. Reddy, the chairman of the company, began negotiations in the spring of 2004 with Britain's National Health Service to work as a subcontractor, to do operations and medical tests for patients at a fraction of the cost in Britain for either government or private care. Western patients usually get a package deal that includes flights, transfers, hotels, treatment and often a post-operative vacation. Apollo has also reacted to criticism by Indian politicians by expanding its services to India's millions of poor. It has set aside free beds for those who can't afford care, has set up a trust fund and is pioneering remote, satellite-linked telemedicine across India.